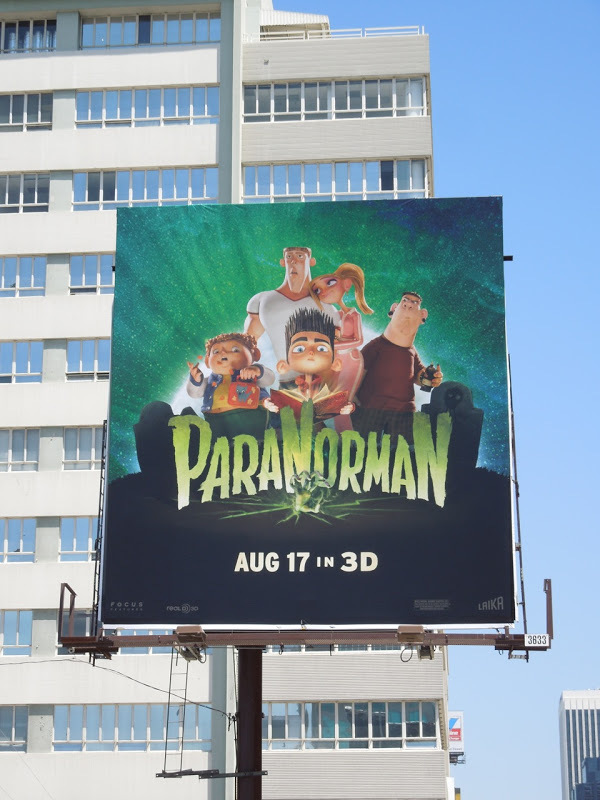 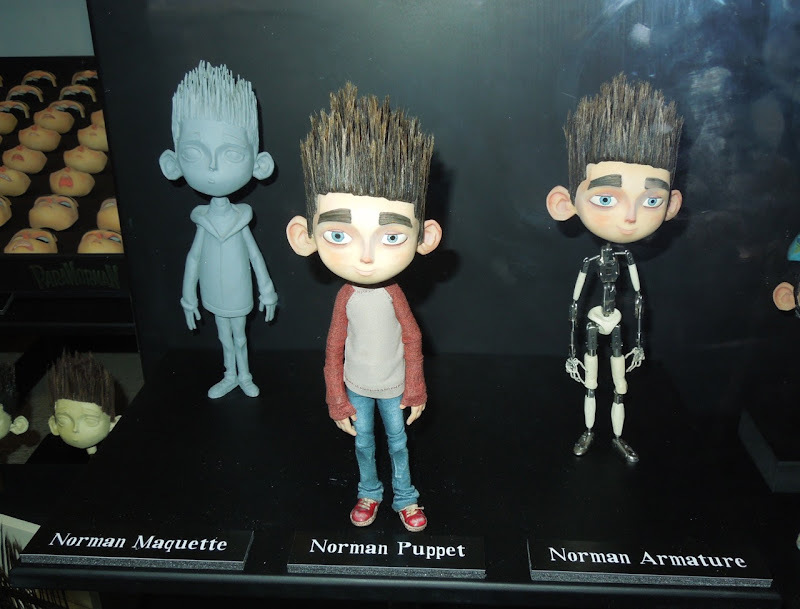 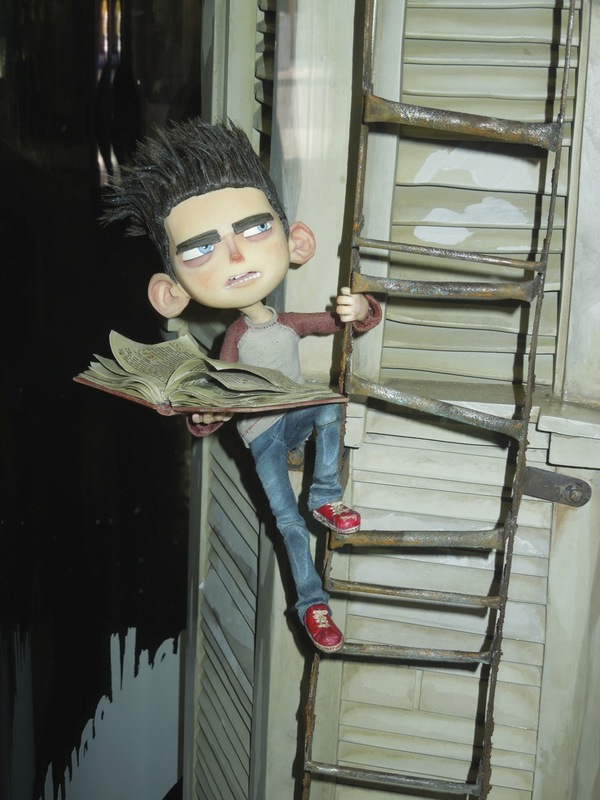 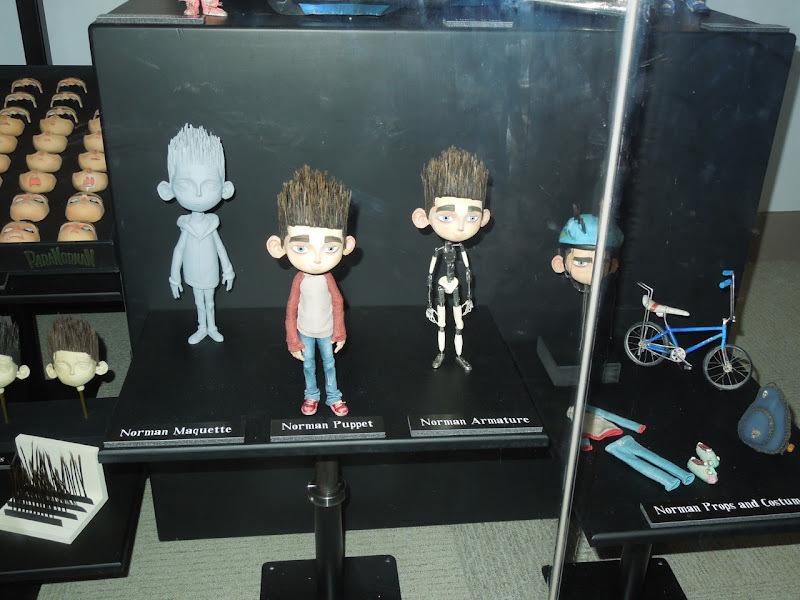 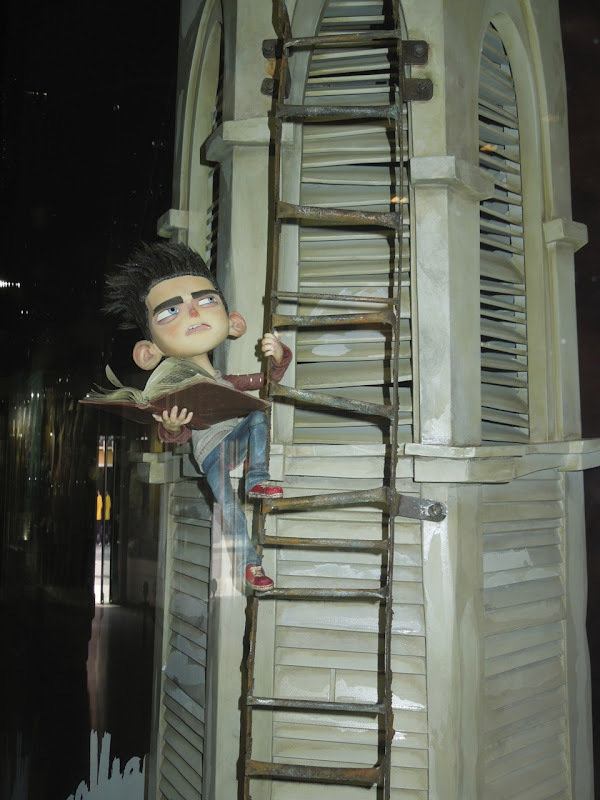 If you liked 2012's stop-motion animated comedy horror ParaNorman, then you'll love this behind-the-scenes look at the puppets and models that helped bring animation house Laika's latest film to the big screen. 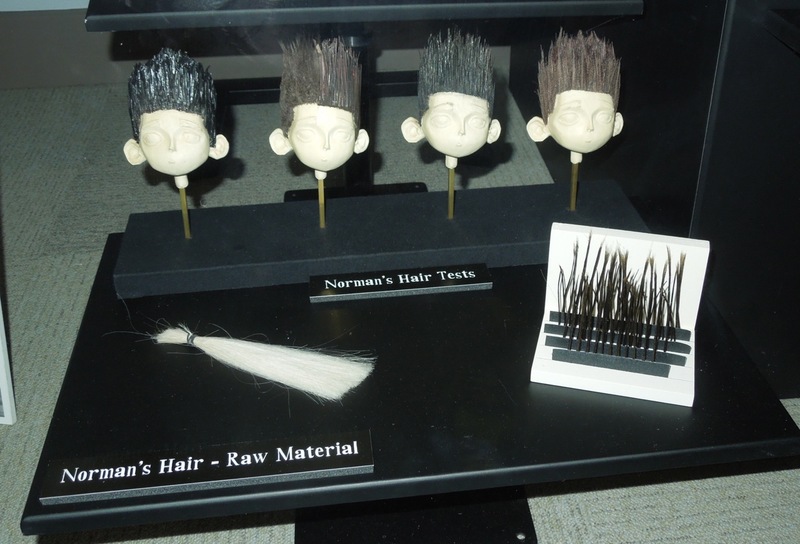 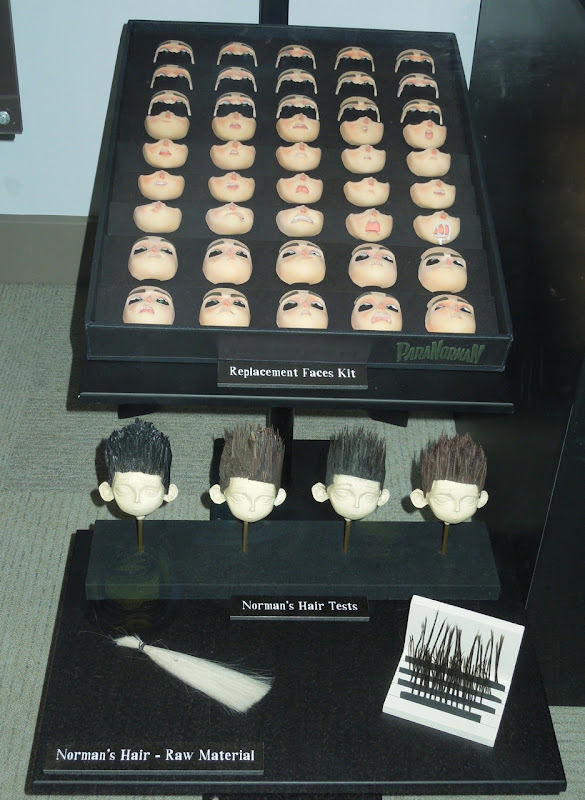 This collection of original maquettes, puppets, props, hair tests and replacement facial expressions for the titular character 'Norman' were photographed on display within the NBC Universal Experience exhibit at Universal Studios Hollywood on February 7, 2013. 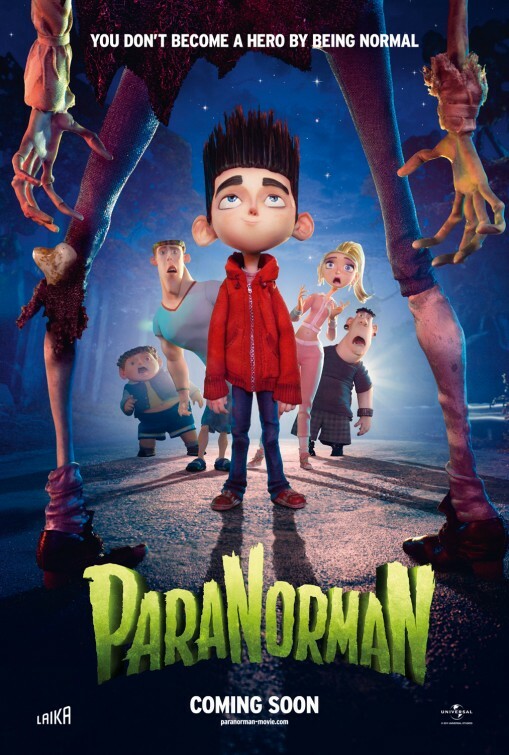 In the stop-motion animated movie, Norman can speak to the dead and teams up with a ragtag team of school kids to defeat a centuries old witch's curse and hordes of zombies. 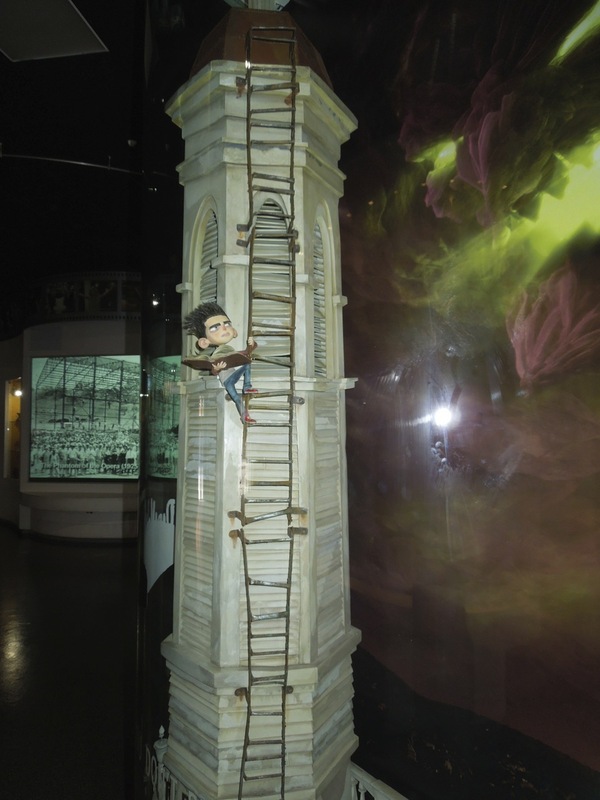 During the film Norman climbs the Town Hall's Tower to read a ritual from a book to try and break the supernatural spell. 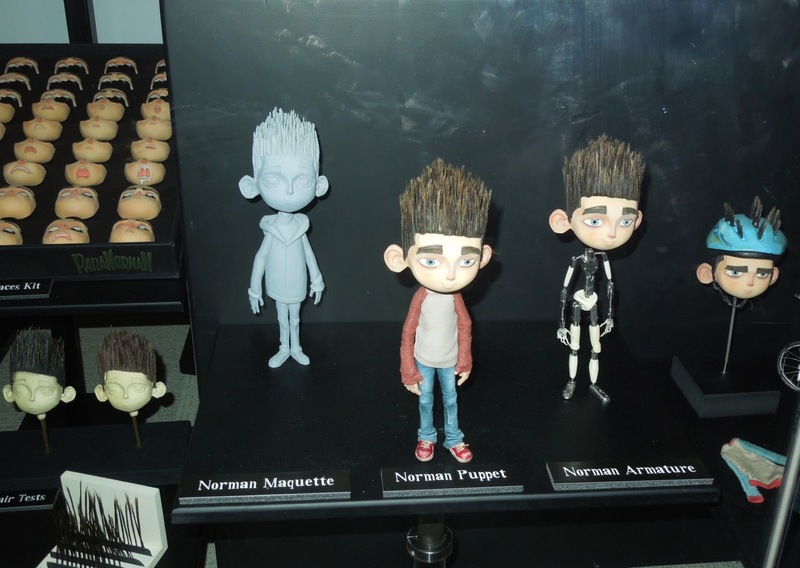 It always amazes me how much more work goes into an animated film, as everything has to be built from scratch, from the characters to the clothes they wear and world they exist within. 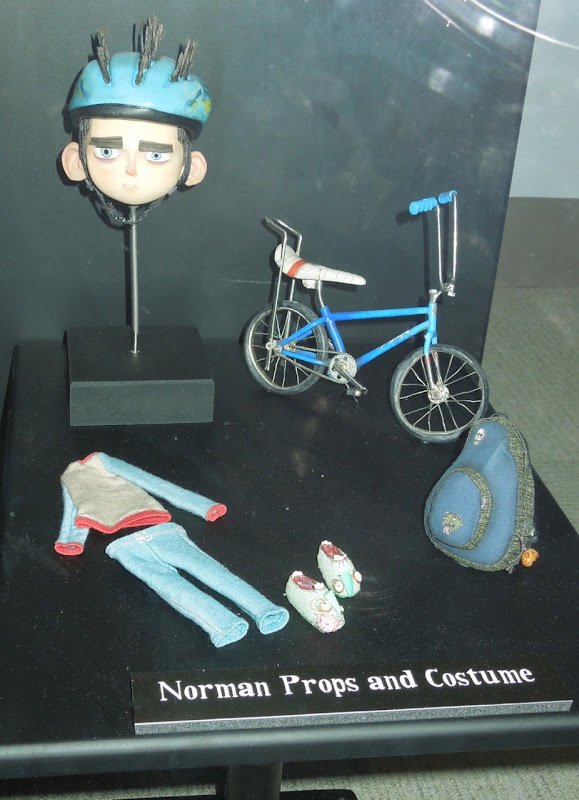 It's also amazing that the puppets and physical objects have to be meticulously moved in tiny increments frame by frame to bring the story to life. 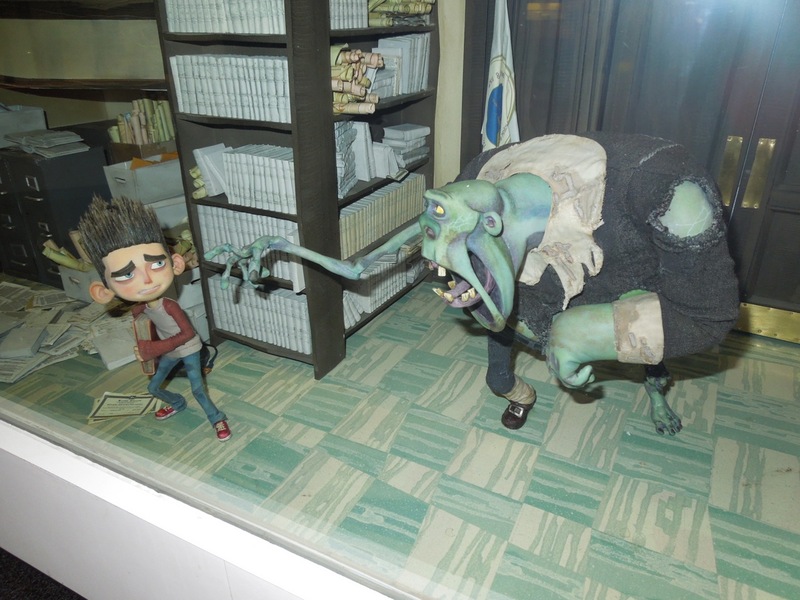 If you like this exhibit, be sure to check out these other fantastic stop-motion puppets and sets from ParaNorman on display when the movie was released.